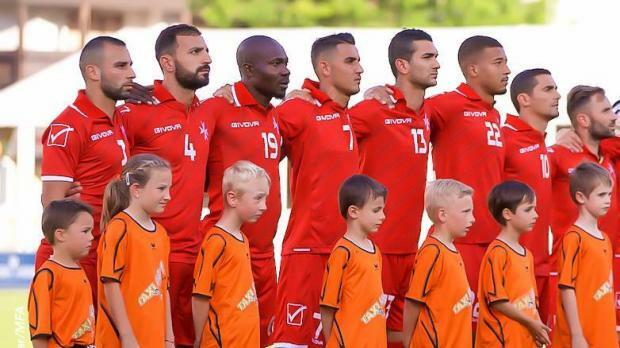 The Malta national team is currently in Austria for a training camp. Ray Farrugia suffered his first defeat as coach of the national team after Malta conceded a late 1-0 defeat to Georgia in Austria, on Friday. Georgia made their intentions clear from the early stages of the game when Otar Kiteishvili connected with a Lasha Dvali’s cross but his effort went wide. Vladimir Weiss’ clan kept pushing for the lead and they went close through Valerian Gvilia whose shot, however, was blocked by Henry Bonello. Georgia almost made their pressure count when Saba Lobjanidze headed a Gvilia’s set-piece towards goal just to be denied by the woodwork before Andrei Agius cleared the danger. Malta struggled to stage a reaction as their opponents hemmed them into their own half. Seven minutes inside the second half, Georgia were reduced to ten man when Gvilia was sent off for a second bookable offence after flooring Alfred Effiong. From the resultant free-kick, Steve Borg headed the ball from a tight angle but Roini Kvashkvadze found no difficult in blocking his effort. Malta started to inch their way up on the field and they went close to draw first blood when Ryan Camilleri connected with a Myles Beerman’s set-piece forcing the Georgia’s custodian to produce a one-handed save to deny the Valletta defender. In the closing stages of the game, Malta missed a couple of chances to take the lead. First, Andrei Agius hit a long-range free-kick just to be denied by inches. Next, substitute Kyrian Nwoko went one on one with Georgia’s goalkeeper but the latter denied him the chance to net his first Malta goal. Nonetheless, it was Georgia who found the winner when Borg pulled Georgi Beridze’s shirt in the box to earn a penalty for his side. Guram Kashia did no mistake from the penalty spot to earn Georgia a narrow victory.